“We're just setting out dates that I can actually go and sit down and meet with authorities,” Wylie said. The former Cambridge Analytica co-founder came forward last month to accuse the firm of hoarding data on 50 million Facebook users, which sent shockwaves through Silicon Valley. Cambridge, which was hired by the Trump campaign and has dismissed the co-founder as a disgruntled ex-employee, used that data to mold ads to sway voters, Wylie claimed. Special counsel Robert Mueller is now looking into the company’s dealings for the Trump campaign, as his team investigates possible collusion with the Kremlin. Facebook admitted last week that Cambridge may have actually harvested data on a whopping 87 million users, far higher than the original 50 million. 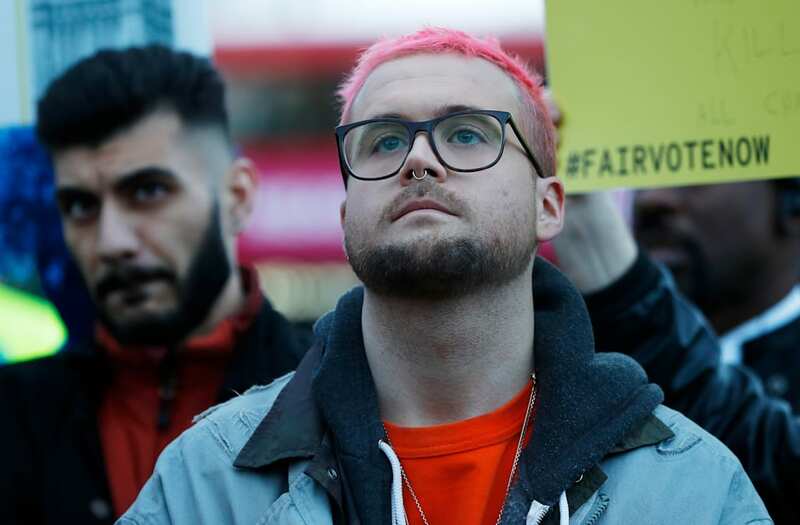 Wylie told “Meet the Press” the number could be higher, and that data “could be stored in various parts of the world, including Russia” because the frequent travels of the University of Cambridge professor who raked the information. Facebook has come under fire for knowing about the data breach since 2015, but only recently banished Cambridge Analytica. Sen. John Kenney (R-La.) plans to grill Facebook CEO Mark Zuckerberg when he appears before the Senate’s Judiciary and Commerce committees on Tuesday.